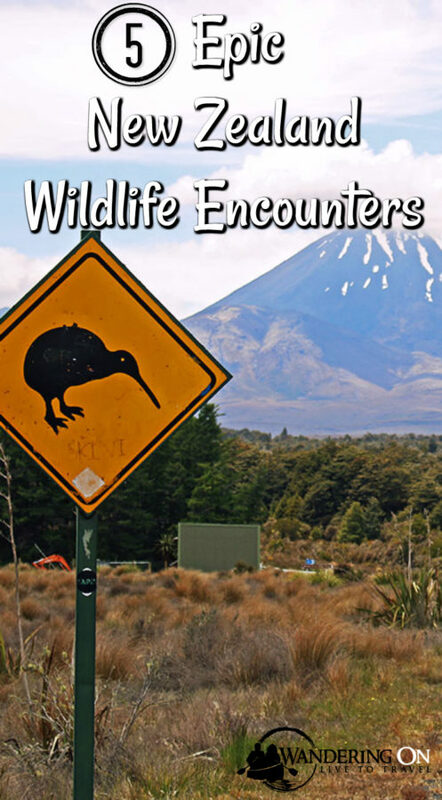 New Zealand is well known as the adventure capital of the world, but you might be surprised, like we were, to learn that there’s a chance to have some amazing, up close and personal experiences with New Zealand’s wildlife too. With its incredibly beautiful and diverse landscape including everything from lakes to glaciers, enormous sand dunes to snow-capped peaks, cosmopolitan cities and a jaw-dropping coastline, it’s no wonder that there’s also a vast array of wildlife who want to call this south pacific island nation home. During our three months driving around the country, we were lucky enough to experience some epic New Zealand wildlife encounters. Here are our most memorable. In Maori ,‘Kai’ means ‘food’ and ‘Koura’ means ‘crayfish’ and the marine life around this area is plentiful due to a canyon in the shelf off the coast which provides them with an abundant food source. 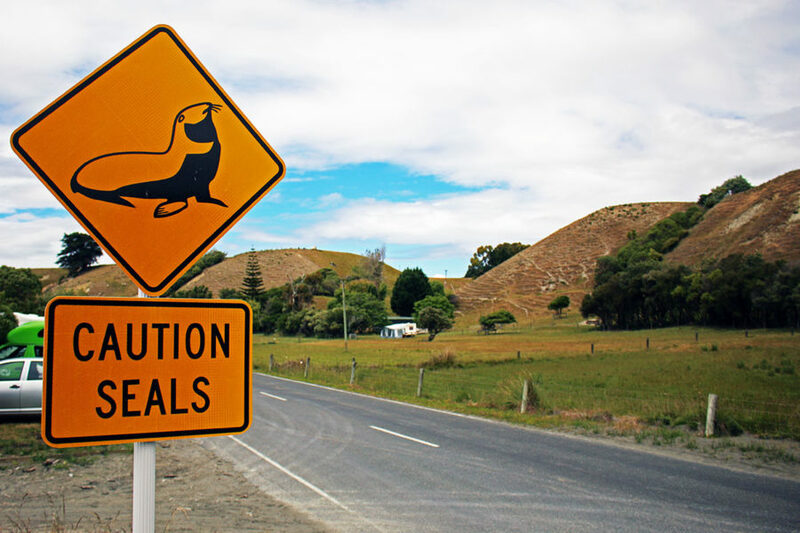 So, when we were on our way to Kaikoura, on New Zealand’s south island, an incredibly beautiful part of the country with the mountains rolling right down to the sea, we knew that there was a seal colony in the town and an abundance of sea creatures in the waters around. 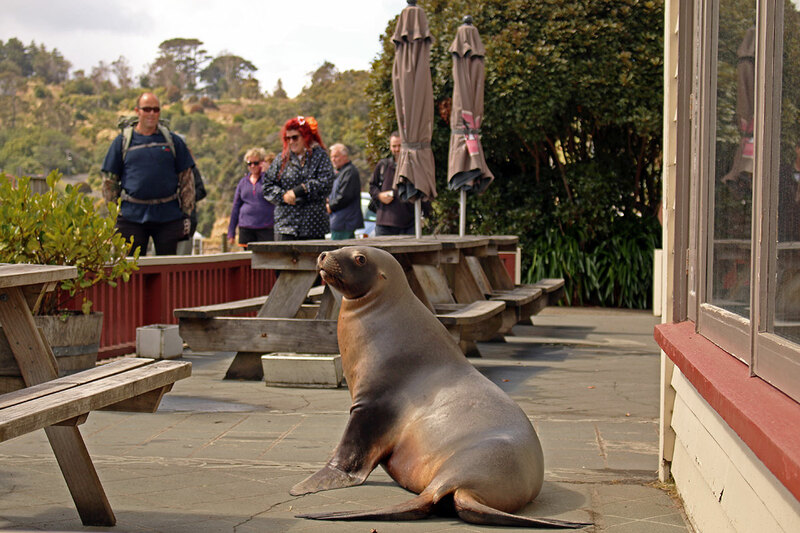 Just 40 minutes drive north on Highway 1, about 30km’s from the centre of town is the Kaikoura Seal Colony. We did not expect to see quite so many seals chilling on the coast at the side of the road on the way into town. We pulled over and immediately began taking pictures of them and just watching in awe and attempted to get some ‘seal-fies’. However, be sure to do this from a safe distance as the males, in particular, can be quite aggressive and are quicker than they look! There are seals there of all ages and sizes, from cubs to huge males – we couldn’t believe it! After an hour watching and photographing them, we headed on to the town where we were going to get even closer to these sea dogs. Swimming with seals was such an unforgettable experience! 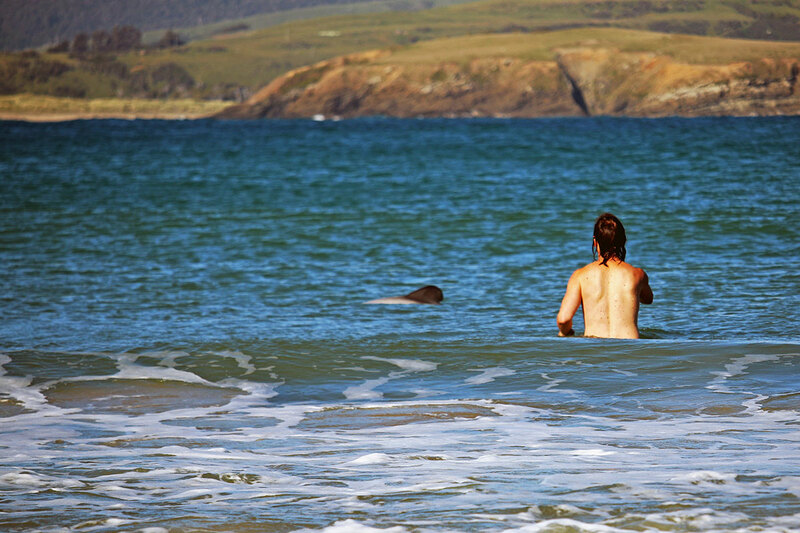 Seal Swim Kaikoura is a small family run business that has been running seal swim tours since 1987. 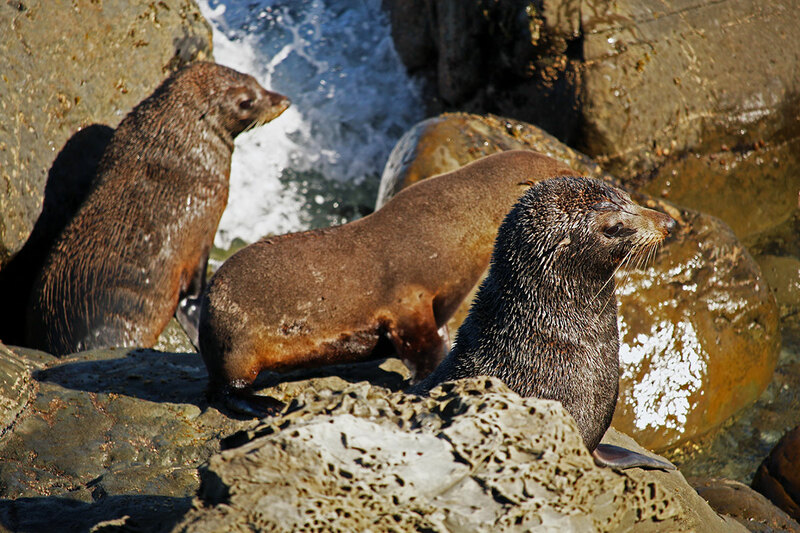 This is one of the few places on the planet that you can get up close and personal with seals and the only place you can do so with New Zealand fur seals. This is such a unique activity, it was included in Lonely Planet’s Top 10 Best Marine Encounters. It was such an amazing experience! The seals were so playful and inquisitive, coming right up to us in the water, spinning and whipping around us. They really behaved like water dogs. Unfortunately, New Zealand is not known for its tropical waters, so be prepared to brave the cold waters for this one but when the seals start swimming and playing with you, you won’t even realise you’re cold anymore! 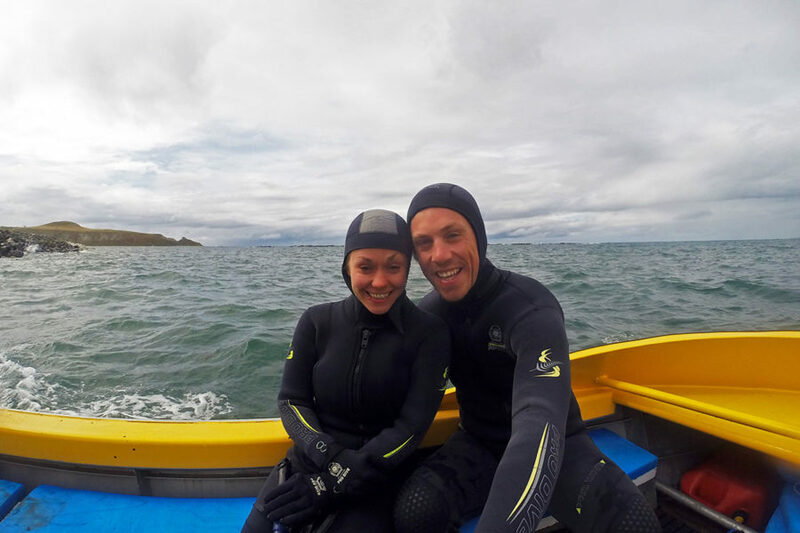 The guys at Seal Swim Kaikoura have got you covered with thick, warm wetsuits, booties, gloves and hoods and even an awesome hot water hose to stick down your wetsuit to keep you warm for the windy ride back to shore! These tours operate from early October until May, subject to sea conditions and they do not run in winter. 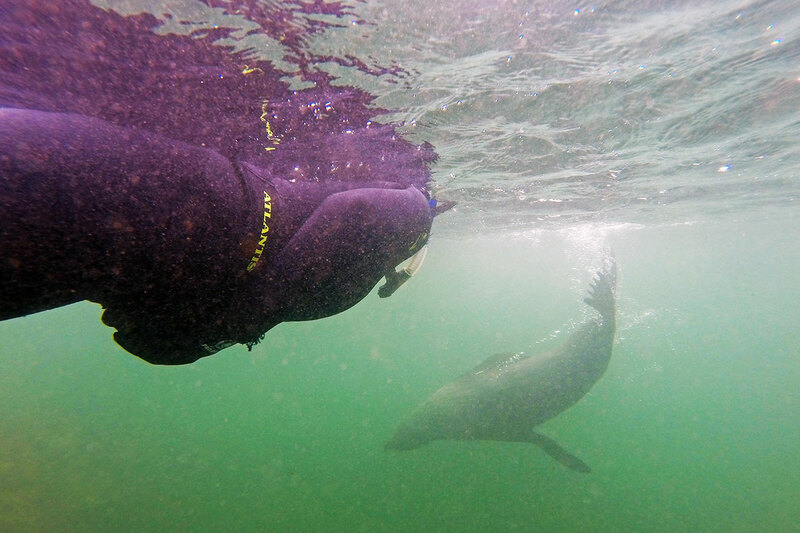 If you have your own wetsuit and snorkel and mask and want to hop in the water with seals by yourself remember to keep your face in the water as males only lift their heads up to fight so the seals will take this as a sign of aggression. These are wild animals so don’t feed them or try to touch them. Try to act as natural in the water as you can and they’ll no doubt come over to you to investigate. 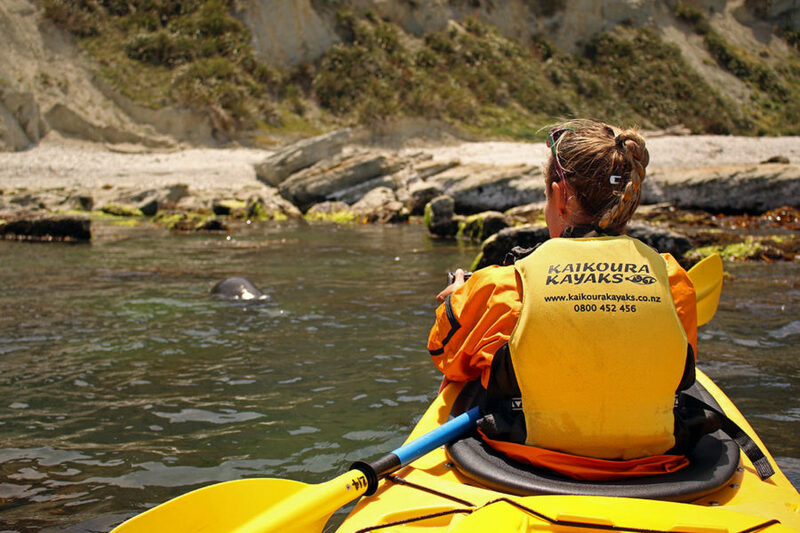 If you don’t want to get (too) wet, but still want to have a chance see seals up close and in the water, check out Kaikoura Kayaks who offer a half-day guided seal kayaking experience. This trip offers a great perspective on Kaikoura’s stunning coastline. You go out in your kayaks from Kaikoura’s South Bay and the professional guides have a wealth of knowledge of the sea life and the local history and legends. If you didn’t rent a car in New Zealand and don’t have wheels to get up to the seal colony 30 kms north of town and you don’t like getting into the water whatsoever, head to Point Kean viewpoint, another popular seal hangout in Kaikoura which can be reached on foot. We spotted seals hanging out on shore in other parts of the south island’s coast too, with one even trying to come for a pint in the local pub on Stewart island! 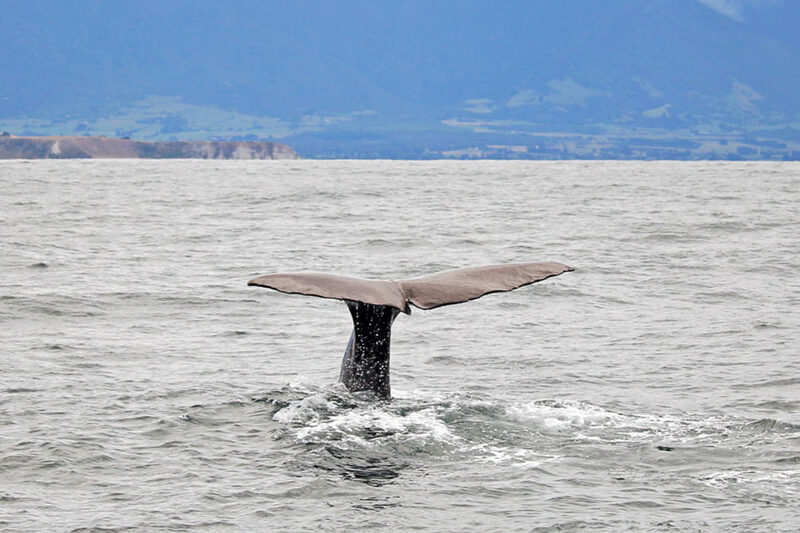 Again located in Kaikoura, a modern twist on the town’s long history of whaling, Whale Watch Kaikoura offers an unforgettable New Zealand wildlife experience and one that should be ticked off everyone’s bucket list when possible. 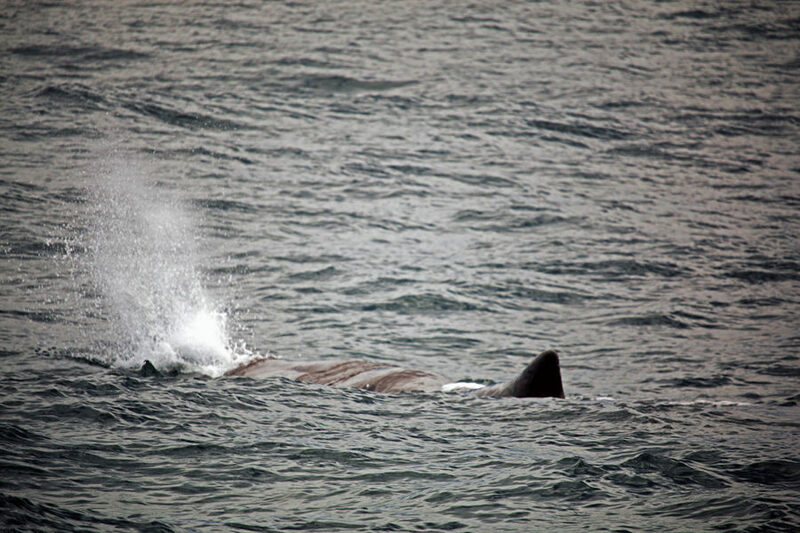 In the waters off Kaikoura, whales are abundant and several species can be seen due to the plentiful food sources in the surrounding waters but almost always, sperm whales are spotted. Seeing these huge creatures breach the water and hover on the surface before taking a breath to dive deep underwater was amazing! The best part, that enormous tailfin flick! The famous tailfin flick you’ll be waiting to see! During our Kaikoura whale watching expedition, we were lucky enough to also spot some albatross, even more fur seals and a huge pod of playful dusky dolphins playing and performing acrobatics in the surf in front of our boat! It really was a truly unforgettable experience! If you’re planning on doing this trip when in Kaikoura, be flexible and allow an extra day or two. As it’s weather dependent, your morning trip may be moved to the afternoon as was the case when we went so allow for these weather changes to avoid disappointment. In Kaikoura, whale watching season is year round, but if you prefer better weather during your whale watching expedition, October to March is the best time to go. Our first sighting of one of New Zealand’s penguins was at Sandfly Bay on the wild and barren Otago peninsula not far from Dunedin. 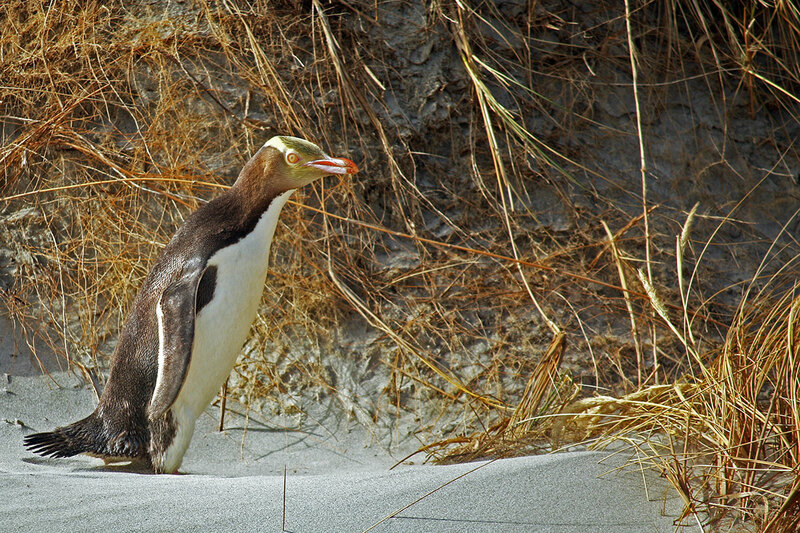 We were amazed to see the yellow-eyed penguin running into the sand dunes in front of us and counted ourselves lucky to spot one on our first penguin search. Surprisingly, we were to be blessed with even more luck! In the town of Oamaru, penguins are a common sight. 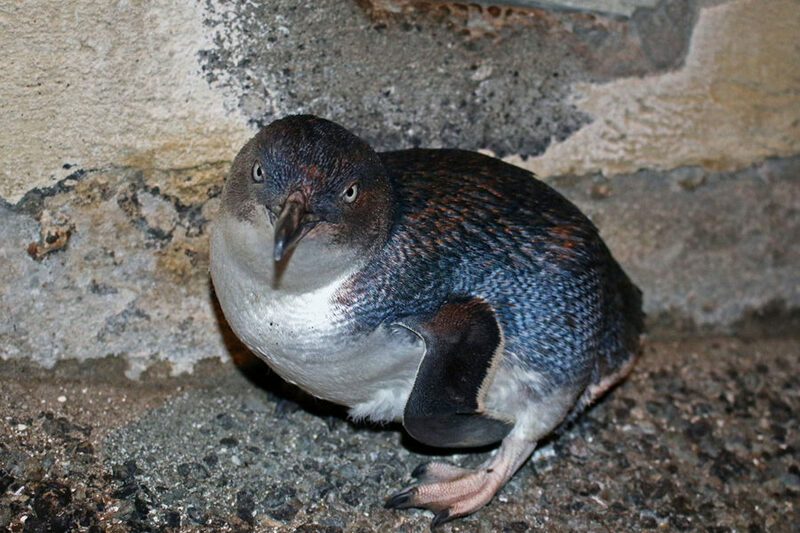 There’s a blue penguin colony that you can pay to enter and see the little blue penguin, the world’s smallest penguin. However, there’s no need to part with your hard-earned cash because at dawn and dusk you’re sure to find penguins as the little guys come cruising around the town as they come up from the water to nest. We watched in awe as a family of blue penguins waddled along in front of us! You can also spot them from the comfort of your camper in the campsite on the waterfront. We were lucky enough to spot some more yellow-eyed penguins in the Catlins not once, but twice! Once at Porpoise bay and again at Colac Bay. When penguin spotting please act responsibly. Remember not to chase the penguins or startle them too much. If they get too frightened they may not return to their nest where baby penguins may be depending on their parents to come back for survival. If it’s always been on your bucket list to swim with dolphins, New Zealand won’t disappoint. 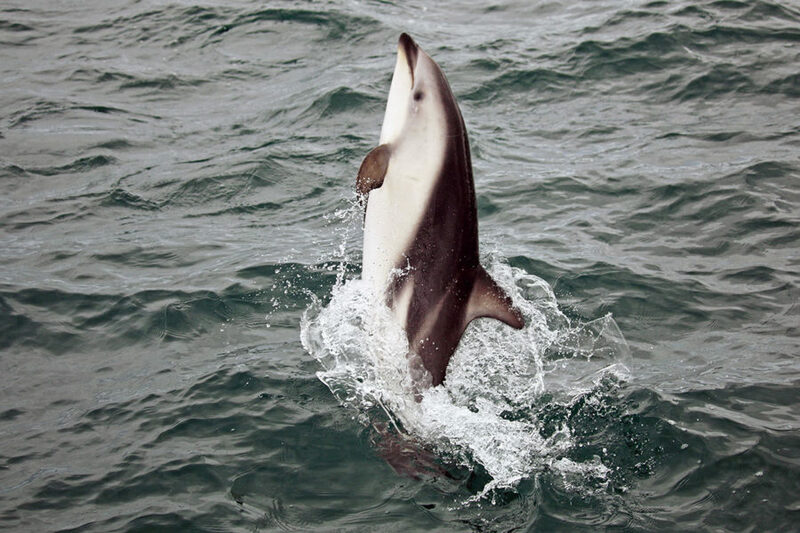 In Kaikoura, if whale watching and swimming with seals wasn’t enough marine mammal action for you, there’s also the opportunity to hop in the water with some wild dusky dolphins! Dolphin Encounter Kaikoura run three tours a day in summer, Nov-April, at 5:30am, 8:30am and 12:30pm and two in winter, May-October, at 8:30am and 12:30pm. The Kaikoura dolphin swim books up well in advance so plan ahead if this is on your list of things to do in Kaikoura and you really want to tick swimming with dolphins off your bucket list, as it was, sadly, already fully booked out when we were there. But never fear, there’s the chance to swim with these bottlenosed buddies by yourself in Porpoise Bay in the Catlins too. Hector’s dolphins, the smallest and rarest dolphin in the world, often feed close to shore and Porpoise Bay is unique in that it’s the only place they come so close to shore without being lured in by people feeding them. Brian wasted no time in stripping off and jumping in for this rare opportunity! I (regrettably) was too cold to go in the frigid Southern ocean waters sans wetsuit and stayed dry on shore to capture the moment on camera. Again, if you choose to swim with the dolphins here, please be responsible. Remember that they are wild animals and do not disturb them, feed them or touch them. Don’t swim at them or try to touch them, keep a respectful 50m distance and they’ll more than likely come to you. 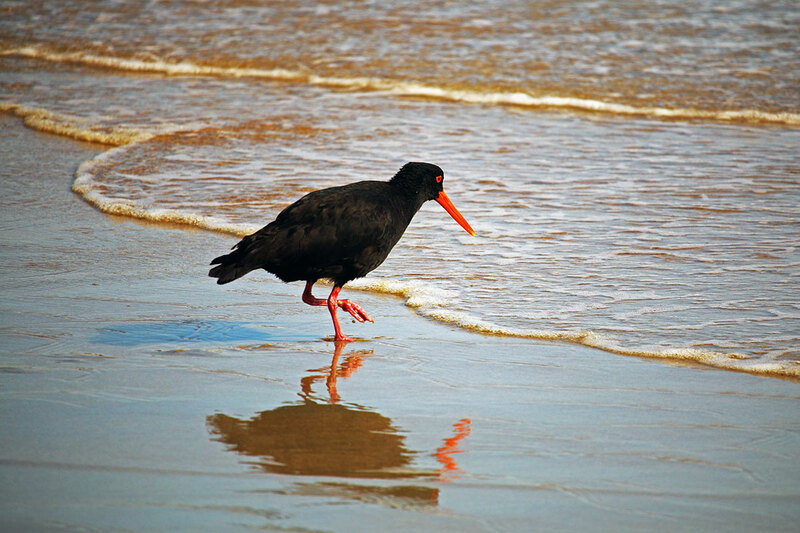 New Zealand’s native birds are numerous and varied and New Zealand is a bird watcher’s paradise. Stewart Island’s Rakiura National Park provides the greatest chance of spotting the most famous of NZ’s native birds and the national bird of New Zealand, the kiwi bird. 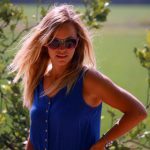 Most people seemed to catch sight of the illustrious flightless bird at dawn or dusk by following the three-day Rakiura walking track, one of New Zealand’s nine great walks. We didn’t have the time to do a three-day walk so we opted for a half day walk instead. Unfortunately, we saw no kiwis! We also ventured out to Ulva Island, a predator-free bird sanctuary hoping to see some too but alas no! 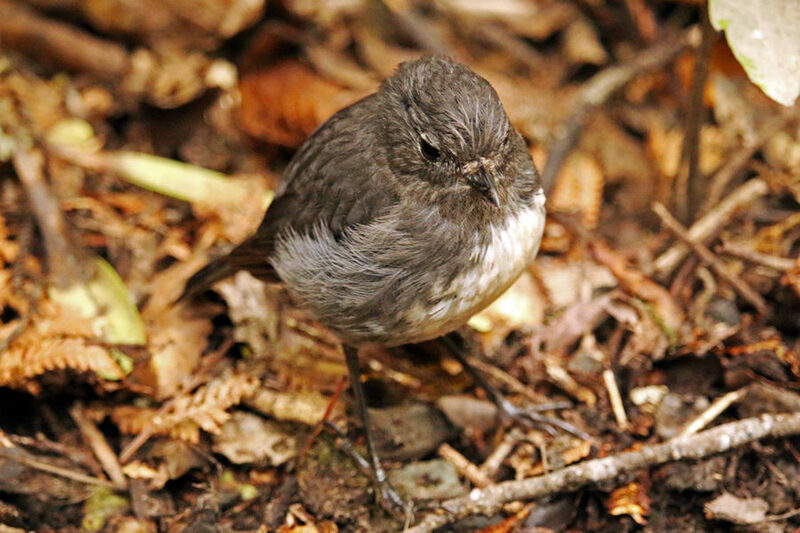 However, we did see a range of different equally as unique New Zealand native birds, from the ever-present oystercatchers to the Kaka bird and the very inquisitive Stewart Island robin, who didn’t seem afraid of people at all and even had a cheeky peck at Brian’s shoe. If, like us, you fail to see a kiwi in the wild, be sure to check out the West Coast Wildlife Centre in Franz Josef where you can see the rare Rowi Kiwi. This centre is in collaboration with the Department of Conservation and they rescue the kiwi eggs from predators, incubate and hatch them and release them back into the wild when they are old enough to fend for themselves. You walk through a nocturnal dark enclosure and flash photography is not allowed. When your eyes adjust to the dark it’s amazing to see these allusive flightless birds in their faux natural habitat. We also had the pleasure of seeing the amazingly colourful Kea bird, a very brightly coloured, large parrot-like bird, endemic to the Southern Alps of New Zealand. 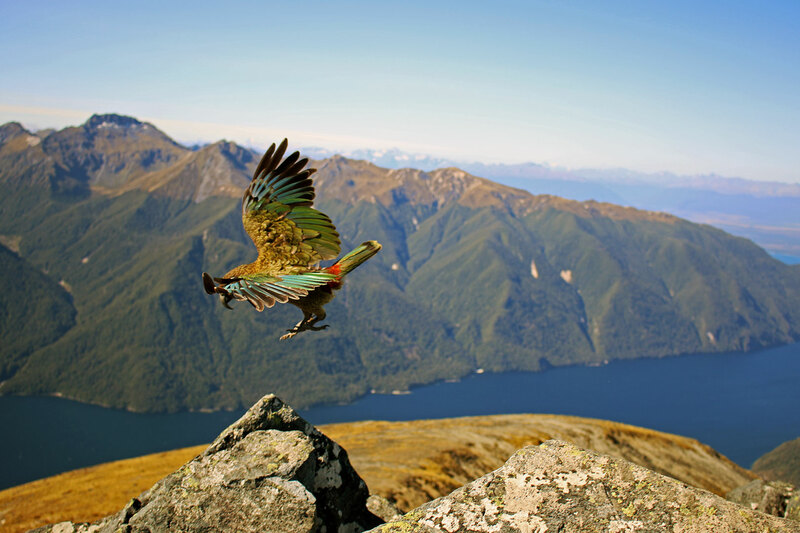 It was just us at the summit of Mt Luxmore, on the Kepler track near Te Anau until one Kea came in to land. He wasn’t scared of us at all and almost posed for us while we snapped away! Unbelievably a second Kea came to hang out too! It was such an awesome moment! 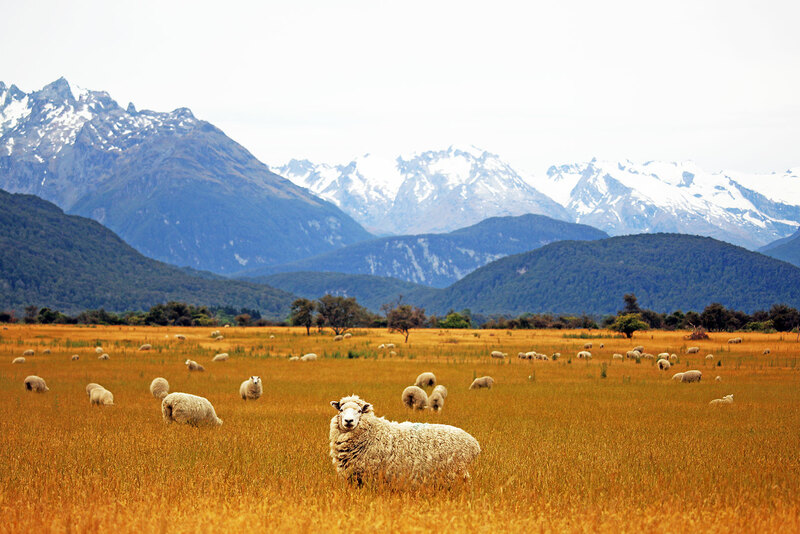 You’ll surely come across a few of these guys if you visit New Zealand! In a country where the number of sheep outnumbers that of people, you’re sure to catch a glimpse of these fluffy cloud-like creatures all over the nation! 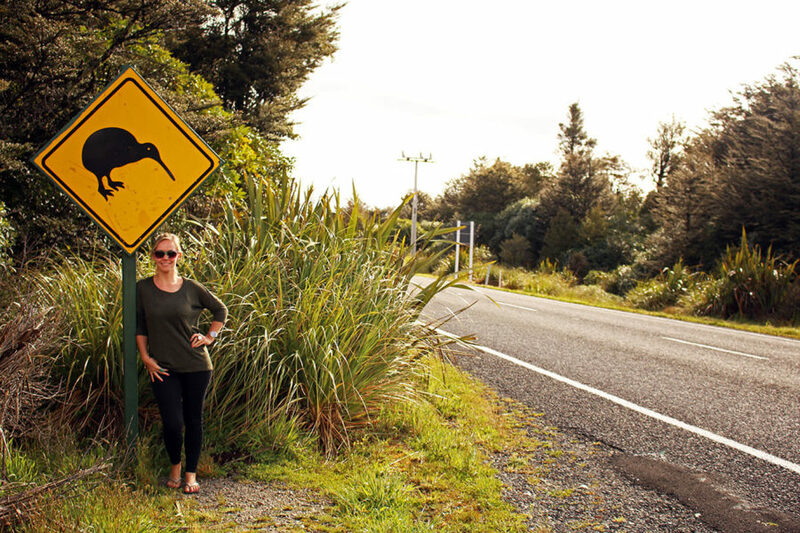 From the rolling green hills of the North Island to the more remote mountainous landscapes of the South Island and everywhere in between, you’re never too far from one of the countries easiest-to-spot animals. Keep your eyes peeled as you travel through this beautiful country and you’ll no doubt see some not-so-rare New Zealand sheep! 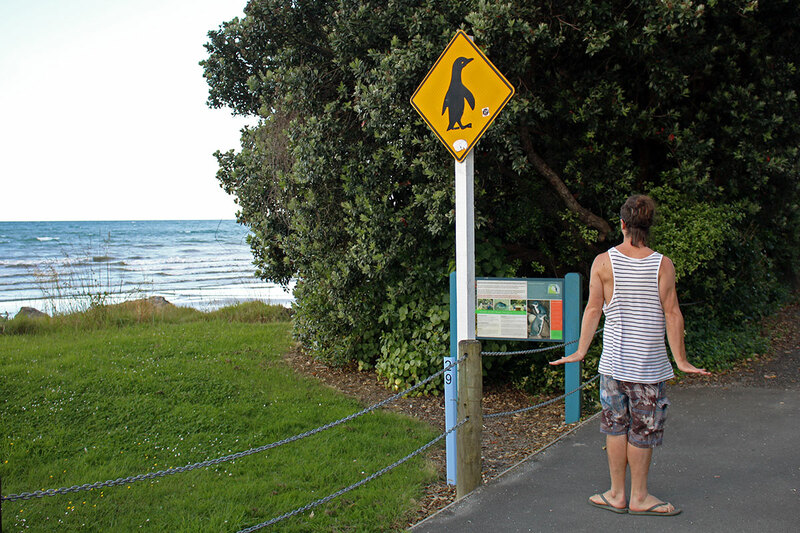 It seems that with New Zealand’s wildlife if there’s a chance to spot something you almost certainly will! We thought we might only have the chance to see these creatures (except the sheep), on the right day, in the right conditions, but we were never disappointed. Except for the illustrious kiwi bird of course. 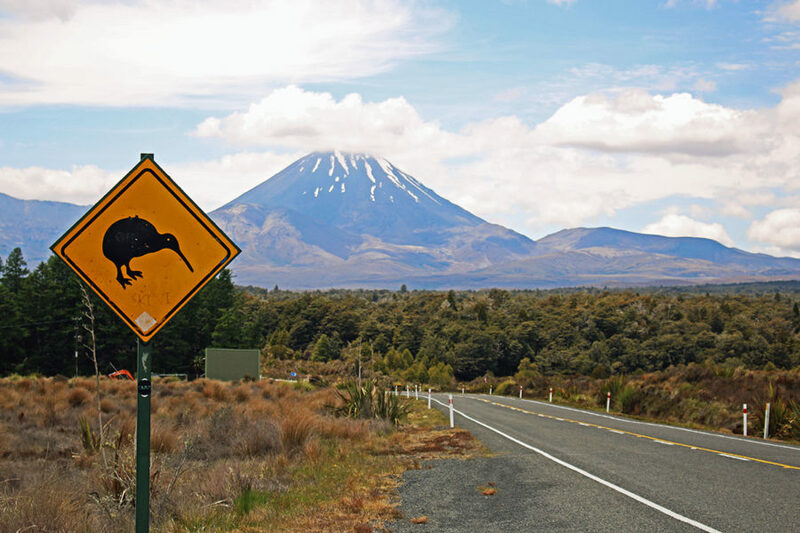 We even met New Zealanders who had never seen a kiwi bird in the wild, and if the locals can’t spot them, then what chance do us visitors have?! We’ll just have to go back to try again!